If you're not from our town, the words "Black River Spa" will likely conjure in your mind an image that stands in stark contrast to the actuality of our timeless mineral spring. You will probably picture massages, facials and body scrubs, relaxing rooms with soothing music in the background. But that's not our Spa. At least, not right now. The story of the Black River Spa is heart wrenching to most of us who've grown accustomed to its face. This place is a symbol of all Black River could achieve, but for some reason, hasn't yet. The Spa has seen days of glory, days of tragedy, and maybe even worse, days of relentless neglect. Through it all it has remained well-loved by those who know how and why to love it. 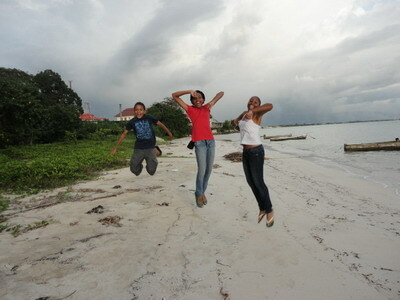 The youths of Black River are still enjoying it today. 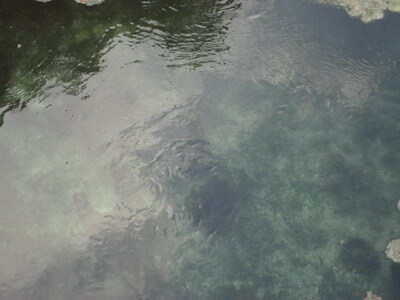 The Black River Spa is a cold mineral spring whose waters have a high content of sulphur and other minerals. It is situated on the western side of the town of Black River, Jamaica, next door to the Black River Hospital. Locals of the town bathe in its waters for pure enjoyment, or for its therapeutic properties - many aches and pains have been relieved after a dip in the Spa. 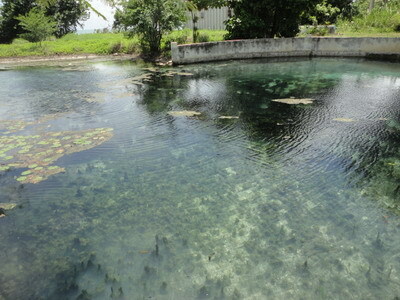 The water springs constantly from underground and is beautifully clear, but the mineral-rich content produces a froth on the surface that needs to be cleared away on a daily basis. Lack of upkeep means that users today have to contend with clearing it themselves. Before the the Spanish settled in St. Elizabeth in 1509, the Black River valley was home to the Tainos, who had migrated to Jamaica from South America around 600 AD. 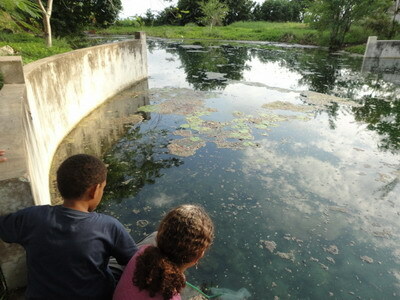 The Black River Spa seems to have been the site of a Taino dump (midden). Up to the 1980s we could find pieces of their red clay pottery on the site. Unfortunately, we did not as children appreciate the significance of what we were finding. The Spa was located on what was known as Lower Works Estate in the days of British slavery. It is said that the estate owner used it to treat his slaves' rheumatism and other illnesses. The Forrest family developed the property in the early 1900's, with the addition private baths and accomodation. The Spa became popular with the Jamaica's elite and also had its fair share of visitors from overseas, including the King of Belgium in the 1950s. Then tragedy struck in 1963. Mrs. Beryl Forrest and her husband Phil lived on the property and were responsible for running it. Mrs. Forrest and her housekeeper were brutally attacked by the man employed by the Forrests as gardener. The housekeeper lived to tell the tale, Beryl Forrest did not. The town and the Black River Spa were never the same. Something unbelievable had happened in the most unlikely of places. The Spa kept on being patronised by locals, mainly children, on hot summer days. It continued to limp along as a paying concern up to the 1970s, when schoolchildren like myself could pay 25 cents to spend a day in its cold clear waters. We had so much fun! My grandmother would complain that it was "spoiling my hair", as my hair would become frizzy and untameable after a day at the spa. Something to do with the minerals, I guess. It eventually was sold by the Forrests, but nothing substantial has been done in the intervening years. The concrete wall that was erected around two-thirds of the spring in the 1990s has done nothing to enhance it, and may even have impeded the water flow. The Spa is right on the Black River Bay. 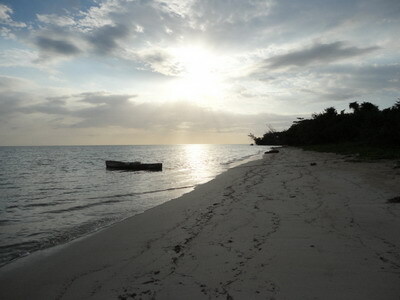 A few metres walk south will land you on a picturesque white sand beach, used mostly by fishermen. If only I had the resources to take on this project myself! This place holds so many wonderful memories for so many of us who grew up in Black River. 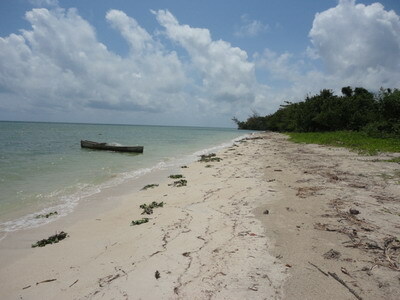 It would be great to see it developed without destroying its natural beauty. Loads of marl have recently been dropped in the driveway, and we hear its changed hands again, so we are hopeful. We hope that the development of the Black River Spa will bring visitors to our town, without shutting Black River people out. Too much to ask? Don't think so, if the marl doesn't smother the imagination, and if development doesn't rely too much on concrete walls.